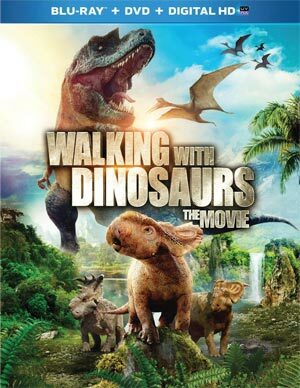 I cannot describe how much I didn’t like Walking with Dinosaurs from the voice over work to the humor which doesn’t work at all. Also, although the landscape is stunning, the CGI elements aren’t overly impressive but can easily be overlooked. The Blu-ray released by Fox doesn’t offer very many features save for some interactive stuff but the audio/video transfers are both quite good. 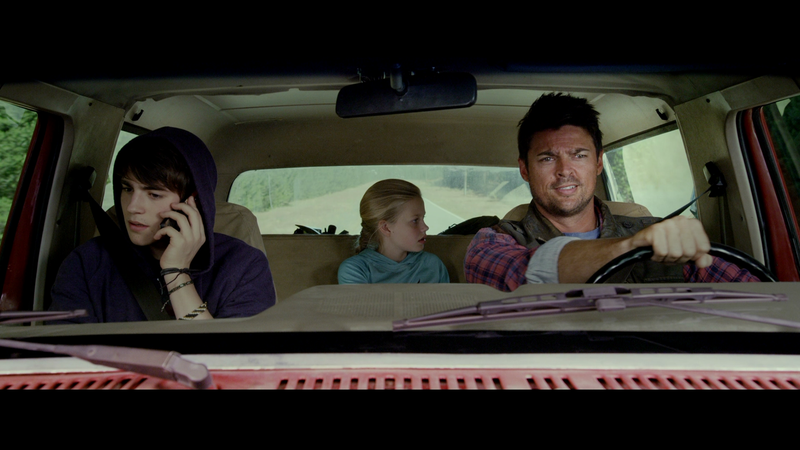 Plot Outline: Zack (KARL URBAN), a paleontologist, takes his nephew Ricky (CHARLIE ROWE) and niece Jade (ANGROUEI RICE). 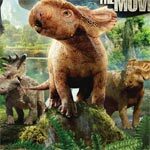 While Zack and Jade go digging for fossils, Ricky remains behind and begins a conversation with a talking crow which then morphs into a prehistoric bird named Alex (JOHN LEGUIZAMO) and takes us back 70 million years into the Cretaceous period meeting the young Patchi (JUSTIN LONG), the little-lest of the Pachyrhinosaurus litter and is the target of bullying by his older brother (SKYLER BROWN). Basically, the movie finds Patchi, along with other colorful “characters” wondering the region, getting into heaps of trouble and making lame wise-cracking jokes. This is an astoundingly bad movie that I’m sure smaller kids will enjoy, and might learn something yet not retain it anyway) but parents will have a tough time getting through the torturously thin plot and oft badly CGI’d characters, none of which you really care about. I honestly wanted to stop watching this movie halfway through, it’s that bad. As I said, I’m sure the little ones will be taken in by the bright colors and talking dinosaurs, so on that front I suppose it succeeds but what was supposed to be a mini-series, for whatever reason Fox chose this direction and it was an utter failure despite some great cinematography of the Alaskan wilderness (combined with New Zealand as well). I guess if you have nothing better to watch… well, find something else on television or in the RedBox machine because this was not a good movie despite the best intentions of the filmmakers. This release comes with a glossy slip cover. Inside is a redemption code for the UltraViolet Digital Copy or, placing the DVD Copy disc in, you can get the standard Digital Copy via iTunes. Ultimate Dino Guide allows you can get info on the various dinosaurs. Match the Call is an interactive game where you hear a dinosaur call and then you select the one to match it. Interactive Map allows users to go around the world and learn about the dinos that inhabited the particular region. Brainosaur Trivia Track plays with the movie providing bits of info about the history of Dinos or the time period. Yawn. 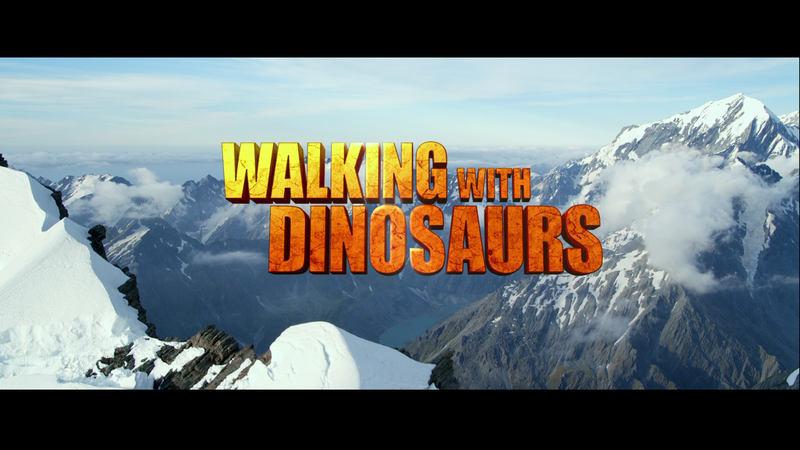 Walking with Dinosaurs rumbles onto Blu-ray presented in its original 2.39 widescreen aspect ratio and sporting a nice 1080p high-definition transfer. Given this is a mixture of CGI and live action, it’s no surprise that this would look so good; from the opening moments showing off the Alaskan mountains, it is a sharp looking transfer with brilliant colors and excellent detail levels. On the downside, the CGI elements, while OK, appear cheap when seen on the small screen and in HD. 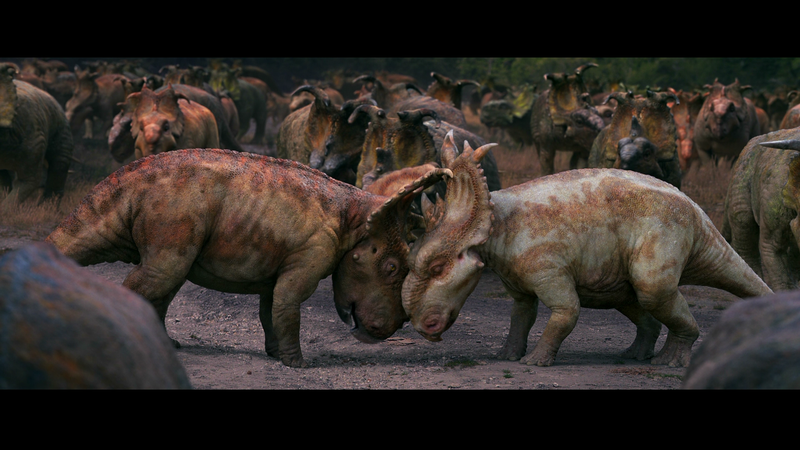 The disc comes with a standard yet effective 5.1 DTS-HD Master Audio track sounding good with crisp and clear dialogue mostly from the center channel while the fight scenes between the dinos provide some depth along with the score rounding out the rear channels. It might not be anything amazing, but it’s certainly effective enough. Overall, I cannot describe how much I didn’t like Walking with Dinosaurs from the voice over work to the humor which doesn’t work at all. 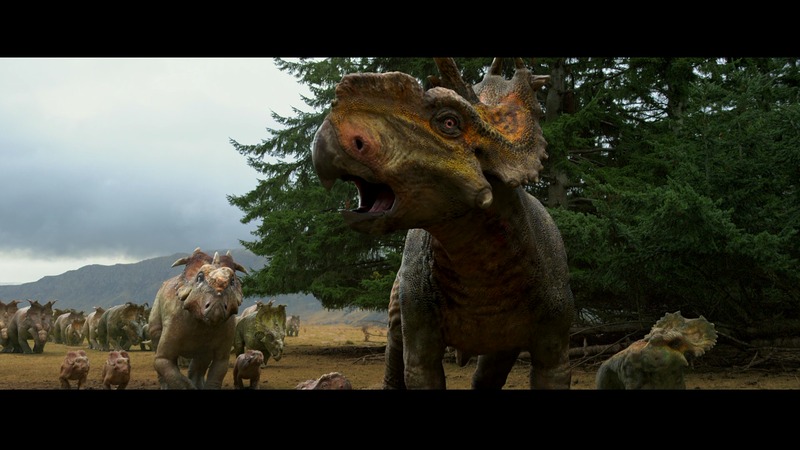 Also, although the landscape is stunning, the CGI elements aren’t overly impressive but can easily be overlooked. The Blu-ray released by Fox doesn’t offer very many features save for some interactive stuff but the audio/video transfers are both quite good.